John McLeod, the second child of Malcolm McLeod and Catherine Cameron McLeod, was born in Campsie Fells, Scotland in 1807 . He had nine brothers and sisters that are discussed elsewhere on this website. 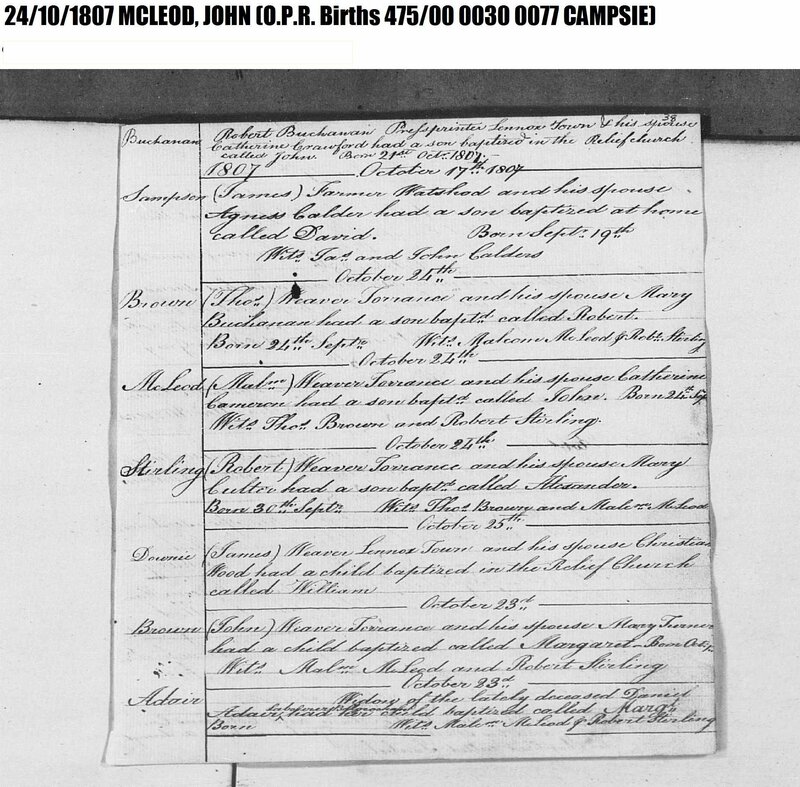 In 1823 he was married to Margaret Proven in Campsie Fells Scotland and a son Malcolm McLeod was born to them in 1824 [7,8] (no record of this marriage has been found and the date of the Marriage is questionable). In 1829 this family and John’s brothers, Cameron and Malcom, immigrated to Canada via the brig “Amity” from Gloucester to the Port of Quebec arriving on September 25, 1829 [6,7]. 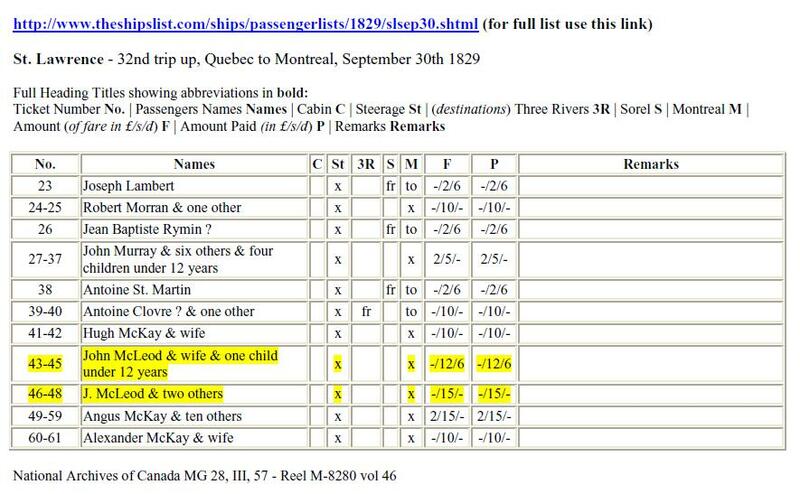 The families then left Quebec on September 30, 1829 on the St. Lawrence arriving in Montreal . In 1837 John purchased a farm near Rugby, Ontario. 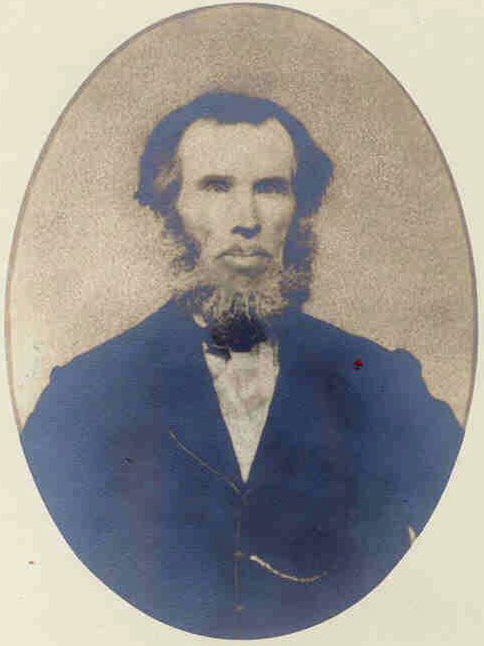 The following year, John, his older brother Malcolm, his younger brother Cameron, and John’s farming neighbor, William Rutherford, joined with other inhabitants of the townships of Orillia and Oro in petitioning his Excellency Sir George Arthur, the Lt. Governor of Upper Canada, to sell town lots of the former Indian Village of the Narrows. The Indian village was moved across the narrows to Rama and the former Indian village became available for sale and development as part of Orillia. Family history notes that John and Margaret Proven had two sons, one of which was presumably born in Canada. Sometime before 1847, Margaret Proven must have passed away. John married Margaret Watt Rutherford in 1847 in Oro Township (daughter of William Rutherford – John’s neighbor). John and Margaret Rutherford moved to the town of Orillia in 1853. This marriage produced seven children some of which are reported on elsewhere on this website. There are several mentions of John McLeod in the Statutory Labor lists in the minutes of the Orillia Municipal Council meetings of the 1850s. His assignments were in the village of Orillia consistent with his living within the village. 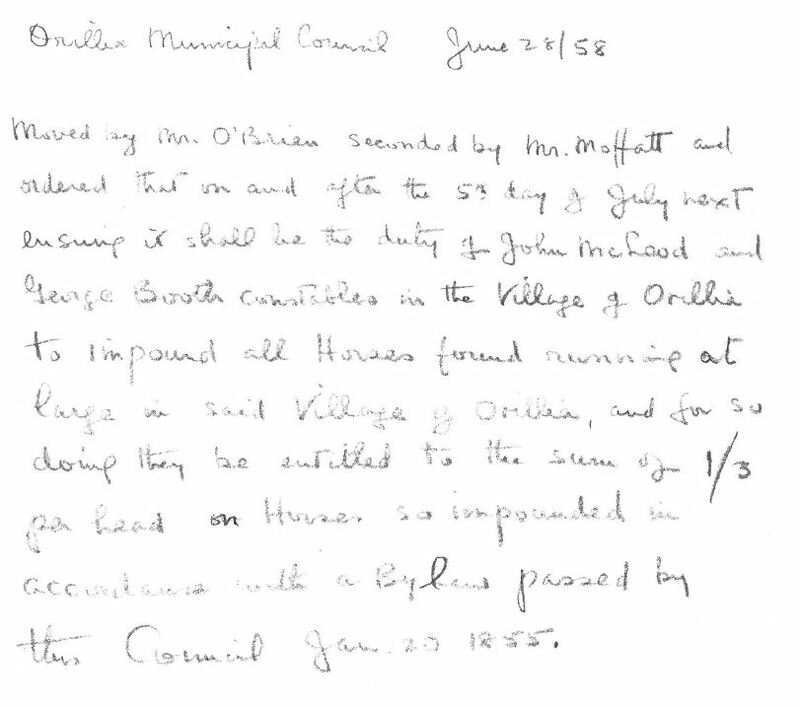 In the minutes of the Orillia Municipal Council of February 9,1857 and June 28,1858 John McLeod is given assignments and reimbursed for expenses incurred doing his duty as a constable . The Village of Orillia Gazetteer and Directory for 1866-67 lists John McLeod as a plasterer and constable . 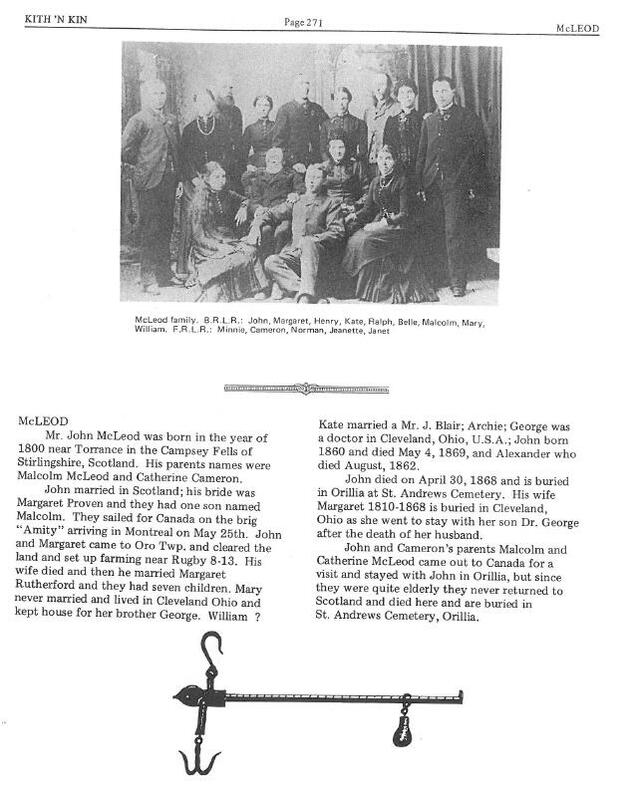 There is a short obituary and death notice for John McLeod in the May 1, 1868 edition of the Orillia Expositor . It gives the date of death as April 30, 1868. Also, directly below this notice is an assembly notice for the Orillia & Oro Division No. 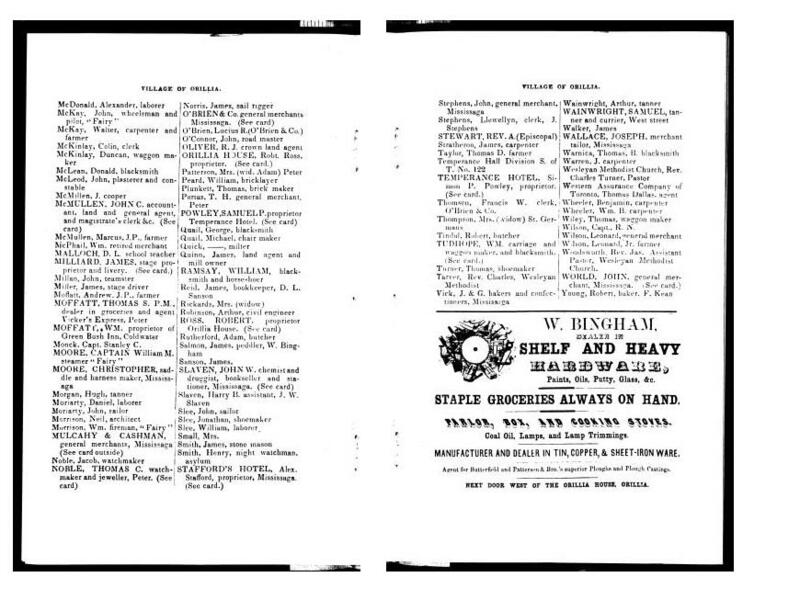 122 of the Sons of Temperance to gather and attend John McLeod’s funeral. John McLeod was apparently a member of this organization. This was John McLeod's Baton that held his papers from the Crown for being a Constable.